Here are a few photos from the race on Saturday (from various folks) that I thought captured my day particularly well. Thanks all for taking the time to snap a few shots! 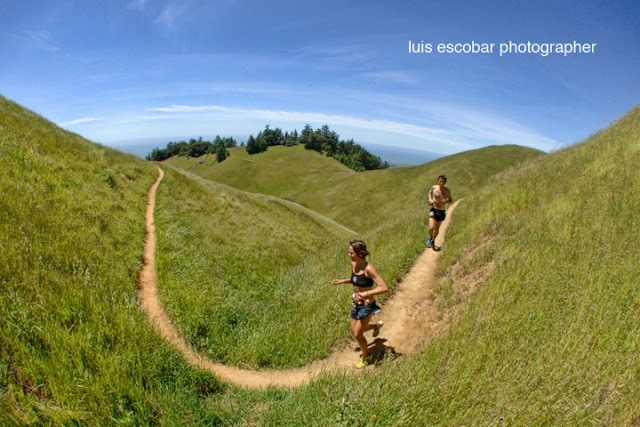 Luis Escobar's a damn talented photographer (and runner). Awesome shots. The one of Jenn and Renn is super cool. 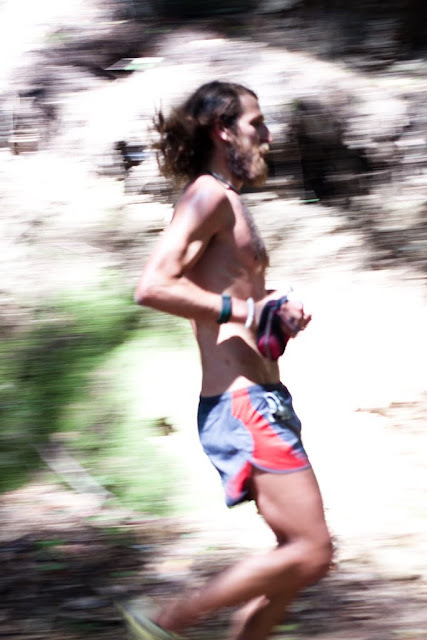 Hey what about the tortured toes picture I saw somewhere on twitter at iRunFar? Tony - could you tell us about how your shoe choice worked out? Enjoyable Running Times race report. Hope you don't mind that I imagine it being me! Kinda the idea I suppose. NB 790s. Oldie but goodie. 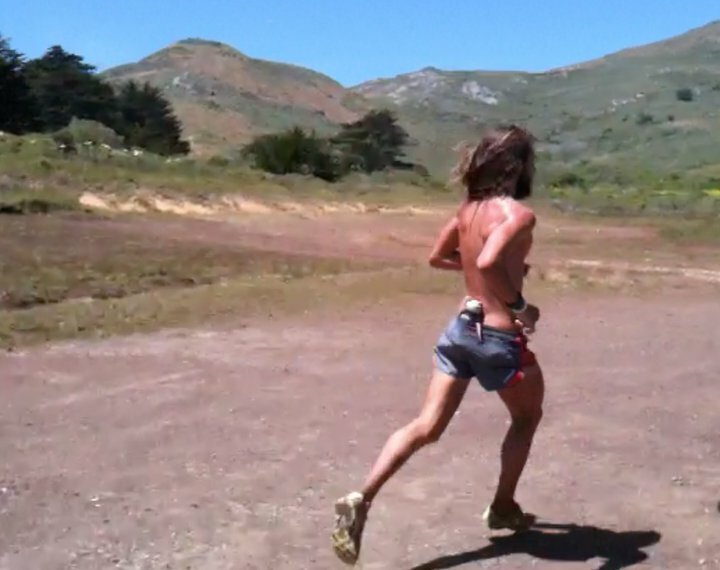 Anton - One question on downhill running: Do you rock back a bit (lean backwards) when you go down or do you retain a perpendicular stance to the terrain? What do you do to lessen the impact on the quads? Are the 790s adapted or from the box? Here's a short video I took of you at around mile 45, right before the course takes you on the road for 100 yards or so. @Eric: Just saw your video on youtube. The clarity is fantastic - what did you shoot with? It's a Canon Powershot SD780 IS digital point and shoot (with HD video). Just picked it up at Costco for $180. It's significantly smaller than my cell phone and I'm happy with it so far. Way to tough it out. What made you choose the 790's over the MT 100's? 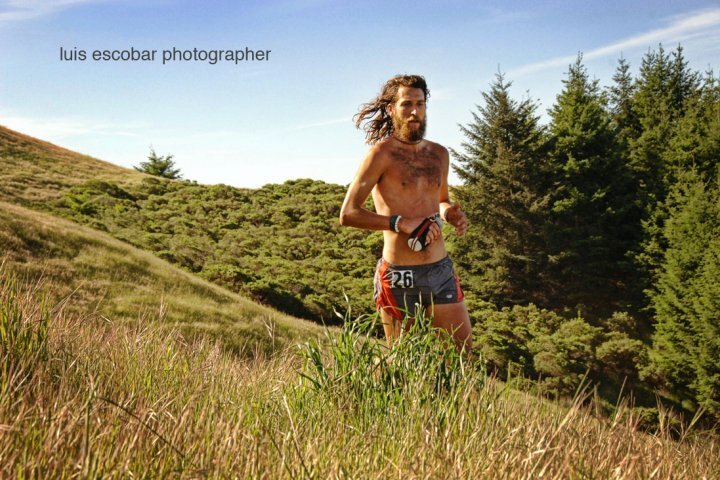 Tony, are you going to take that spot in Western States? Hope to see you out there! That final photo is awesome! Way to go. 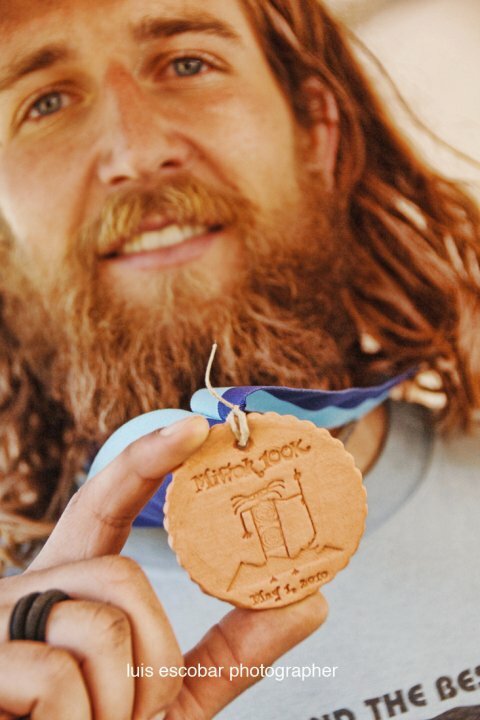 I have some questions regarding trail running in CO Springs. I'd rather not take up your comment space, so if you are willing, please email me at c.neuensc@gmail.com. BTW, be sure to delete that chinese spam comment...they tend to breed more if their system figures out you don't delete them. Tony! Hope the recovery from MiWok is going better then expencted. 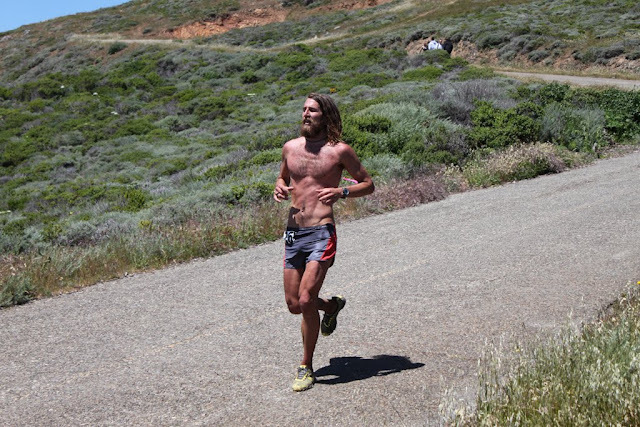 Wondering, like alot of your followers, is it going to be Western States or San Juan Solstice? If you don't mind me asking, why do you take a knife to your shoes? I saw you in some YouTube vid cutting up your shoes. I'll be at the WS cable crossing (Rucky Chucky)let me know if you'd like to hear anything there to help keep you going.